Fun and play form the foundation for our preschoolers foreign language classes. Within two or three classes, kids ages 3-6 learn key phrases in their new language through simple, repeated songs and chants. Meanwhile, they become familiar with more complex aspects of the language by engaging in "adventures," tactile and movement-based games that require them to solve simple problems - in their new language, of course! Elementary classes for children 7 to 11 years old. A simple literacy component ensures that these students not only listen, speak, sing and play in their new language, but read and write as well. In this class group the children will have to practice more at home and have homework for home reinforcement, as well as going in to our website to practice with the games and weekly challenge questions posted on the website and FB page. This six week summer program specially designed for our GLUCK students is a fun based program with arts, crafts, rimes and songs to practice everything they have learned during the school year and introduction of the summer vocabulary. With summery activities that will make your child have fun and enjoy the summer even more! 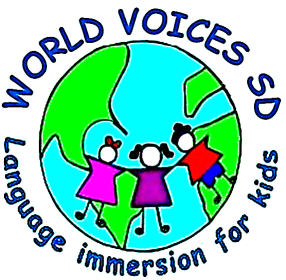 Our elementary students learn their new languages through adventures, activities that require increasing levels of engagement and understanding over time, and that reward kids with a feeling of accomplishment. A simple literacy component ensures that these students not only listen, speak, sing and play in their new language, but read and write as well. NOTE: Once a week classes will required the students to practice at home and do homework, parents support at home will be required. You can always log in to our website and use the links on our parent resource page. ARTS & SPANISH immersion summer camp. For the last 16 years our Art Summer Camp has been a success, with more than 80% returning students. And we are really proud of offering new options for our older campers that would like to come and have fun with us while learning Spanish. We offer a unique summer experience. Not only will we give your child a fun summer time, filled with games, music, challenges, and sports, but also a life learning experience that will become a major part in our camper's development process. It will nurture his MIND, BODY, & SPIRIT all while learning and practising Spanish. Your child should feel confident in his/her ability to meet the challenges in her life. independently, being creative and getting results for his/her efforts. This why every summer we improve and adapt our method to the needs that we have seen growing on our new generations. Every summer we get ready and prepared to received our former and currents students with new material and activities that will make their summer a FUN LASTING LEARNING EXPERIENCE! All of our instructors are professionals who dedicate their time to teach children with the purpose of contributing to a better future and creating opportunities for our children. All of our intructors are native Spanish speakers. This is a small camp compare to others. We offer a personalized attention, this way our campers achieve a better expression of their art and the process of Spanish learning. All Spanish levels are wellcomed!